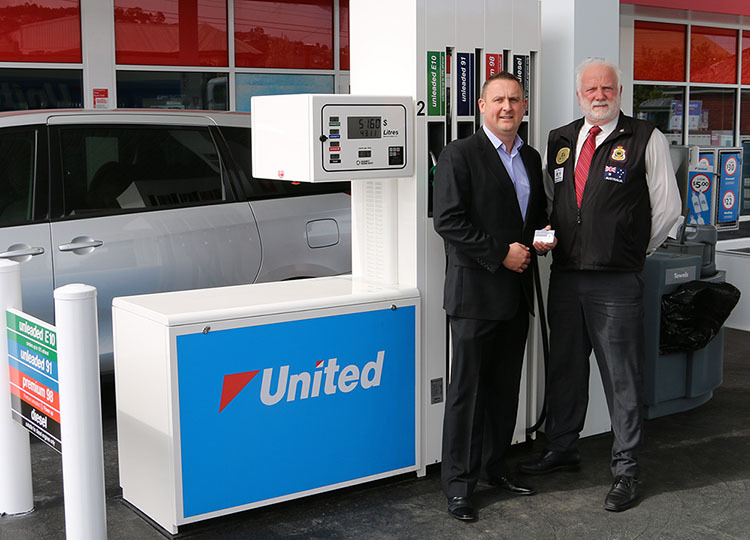 The RSL Tasmania Branch has established a partnership with United Petroleum, Australia’s largest independent fuel network, to combat Tasmania’s high fuel prices. 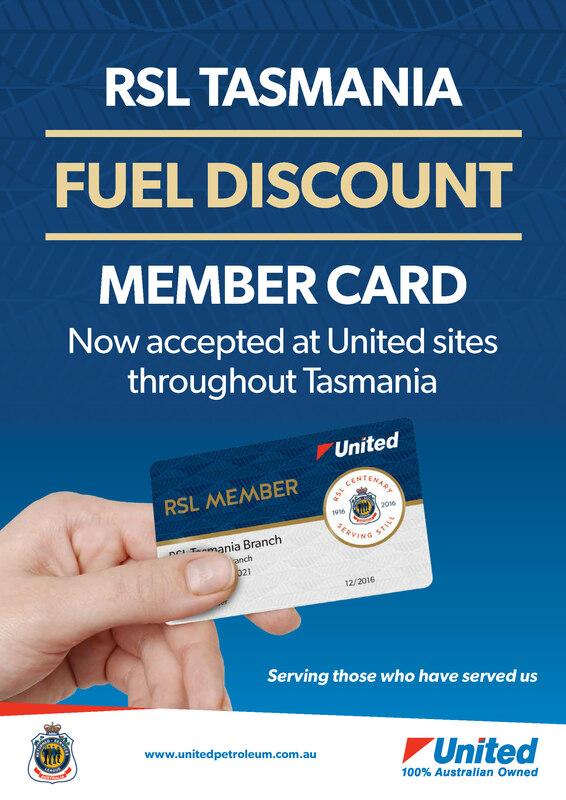 The offer will deliver to RSL Tasmania members a six cents per litre discount commencing 6th October at United sites across the state year-round. United Petroleum Marketing Manager Andrew English said that as an independent, Australian-owned company, they were proud to offer better value at the bowser for Tasmanians. “Simply present your RSL/United Card at one of our stores when purchasing fuel to save at the bowser,” Mr English said. The RSL is one of Australia’s most respected organisations, providing a crucial service for returned servicemen and women as well as to those currently serving in the ADF and their families, and that’s why United Petroleum and its staff are proud to give the RSL and its members the support it needs. The new RSL member card will be distributed to over 4,000 RSL Tasmania Service and Affiliate Members over the coming weeks.